Amaran, which specialized in imported home goods, was the previous corner business until February 2013. As for what might be next, the president of the board of directors of the co-op at 184 E. Seventh St. told me this in 2013: "Our co-op is very proud to have rejected chain stores, banks, bars and loud food establishments. 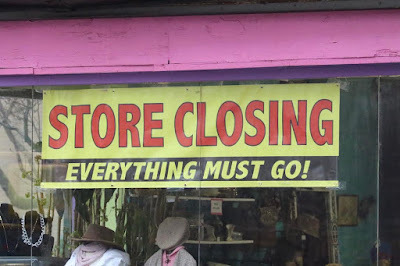 We are proud to have chosen a local business like Jillery who has been in the neighborhood for many years ..."
The storefront display / signage / merchandising was never appealing. I couldn't tell if it was new products or vintage or handmade. Is it for kids or adults? 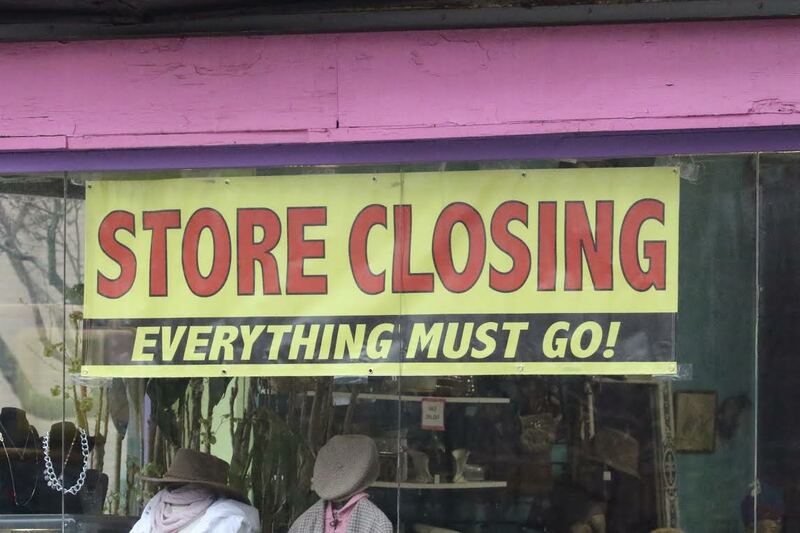 Maybe the space needs to be divided into smaller stores that are more manageable by small-biz owners. 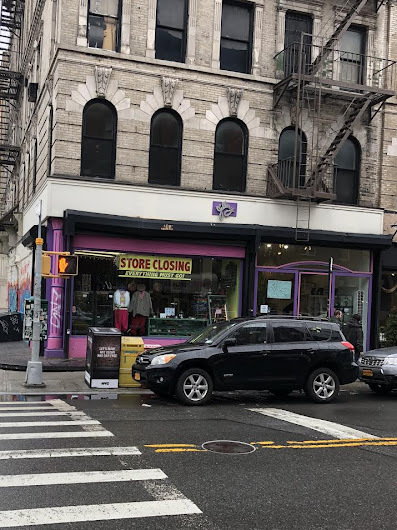 There is little non-food retail on Ave B until 11th st going north and 4th or 3rd going south, so not much "shopping" traffic is heading to this spot. Brava and Bravo to this coop board for keeping chain stores at bay. I hope they continue this and hopefully we will see another small business owner take this spot. Here's the issue with the no-chain venue in this space. Most low end and mom and pop shop retailers won't be able to afford the rent on this corner. I've lived on 7th street for eight years. This area has significantly changed since 2010. Maybe something other than a Starbucks or Duane Reade could go there. Otherwise, I don't see how any business can thrive there.